Express Inx are located in Grassie, Ontario, Canada and have been serving Beamsville, Grimsby, Winona, and Smithville for over 19 years. Express Inx offer a printer inkjet cartridge refill service and retail new compatible ink and laser toner cartridges. Express Inx also provide computer services. Express Inx use state of the art automated refill equipment and ISO certified inks. All cartridges are filled to capacity, print tested and professionally packaged after refilling. A test print page and refilled cartridge instructions are included with every order. Express Inx offer a 14 day replacement warranty and free post refill phone and email support. 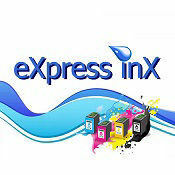 Express Inx use automated state of the art equipment to refill our ink cartridges. Our automated refilling machines automatically empty, clean, refill and prime your cartridges. These processes avoid colour contamination and air bubbles that can occur in manual refilling which can prevent your refilled cartridge from printing properly. All Express Inx cartridges are electronically tested and print tested after refilling. A print test is included with every refill as an example of the quality of our work. Every order receives specific make and model number refilled cartridge guidelines to help you extend the refill life of your cartridges and to achieve the best quality print possible from your refills. Every order is professionally packaged after print testing to prevent colour contamination or leakage during transport. Express Inx offer a 14 day replacement warranty on all refills. We provide free email and telephone post refill support to resolve any issues you may have with your refill. No extra charge.